Although I had never been there and then, at that moment, that was exactly where I was. I stood there, locked in time, the tears still suspended in the air, inches beneath the battle hardened soldier’s red eyes. We had won and lost the war at the same time, for as we placed the flag in the hill, we realized it was not a hill of earth, but of corpses. Looking back on it, I will never forget the carnage. It was as if the most despicable evil was dredged from the darkest reaches of hell, right from Satan’s claws; and that evil was man. For looking at the hill, made of thousands of corpses, their arms interlocking in a festering pile of sin, I realized that there were thousands more hills, each with a flag, and each with crying soldiers. Many corpses walked, more skeleton than flesh. The skeletons huddled together, eyes deep and dry; their tears had been cried away, there was nothing that could harm them now, nothing they hadn’t been through. There were others there as well; demons dressed as men, and men dressed as demons. It would take a while before all the real men were out of their demon costumes, and then they would finally cry and beg silently for forgiveness, all while the real demons were finally sent back to the hellish pit they crawled out of. In that frozen moment of time, I looked to the sky, and saw a million brilliant eyes look down on me, wishing they could help, but stars and gods cannot sway the hearts of men or demons, no-matter their supposed power. I looked back down, to the walking skeletons, each also living in this frozen instant, with the look of sheep, not knowing anything except they must stay together, for that is where safety is. I rounded the skeletons up, and led them away. I led them east and south, to a land where the sun always shone, to a land where the seeds of life had just begun to grow among the ashes of death, to a land where skeletons were lions, lions men, and men strong enough to kill demons. Please read the following Post for additional information about the Jews of Rhodes and the story of Noah’s relative, Laura Codron, who was one of the very few survivors of the Island’s Jewish community. 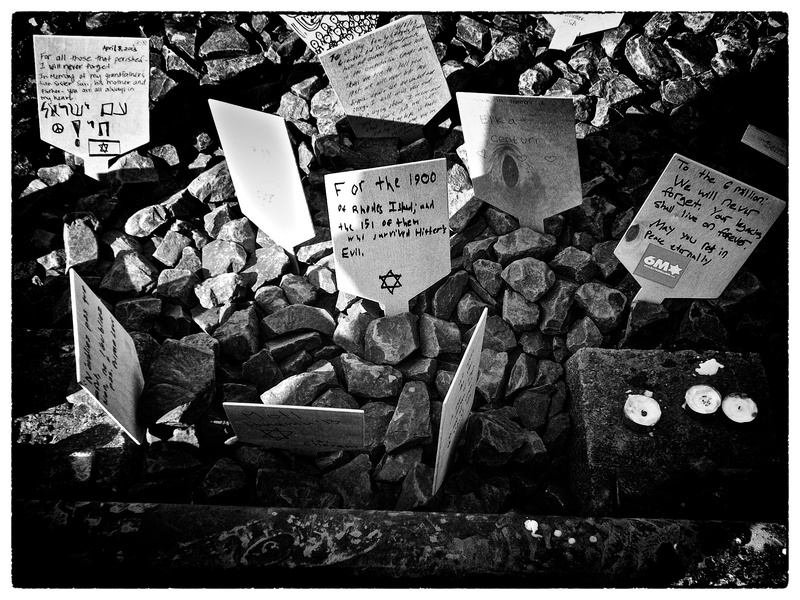 This entry was posted in Holocaust, Israel / Judaism, Noah Botman and tagged anti-semitism, antisemitism, Auschwitz, Birkenau, Holocaust, Holocaust remembrance, March of the Living, MOL, Noah Botman, Poland, the march of the living, Yom HaShoah. Bookmark the permalink.